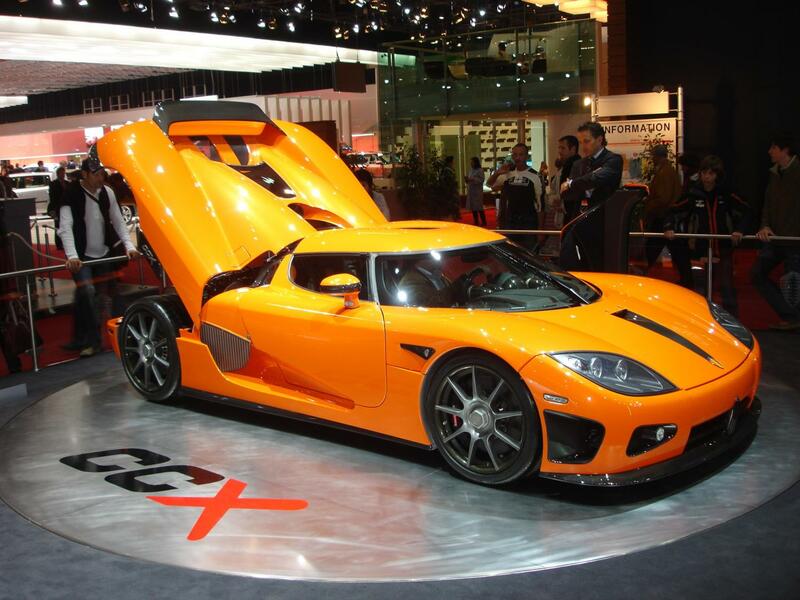 This orange CCX was custom ordered by Bader Al Roudhan, who had a rather extensive wish list, hence the many upgrades over the original design. Most striking differences are the many clear coated carbon areas on the bodywork and the reworked grill at the front. But also beneath the bodywork some changes have been made as the engine was tuned. Apart from these initial upgrades, 036 stayed the same during its life. Although it received a white wrap (which was later removed again) and different wheels. 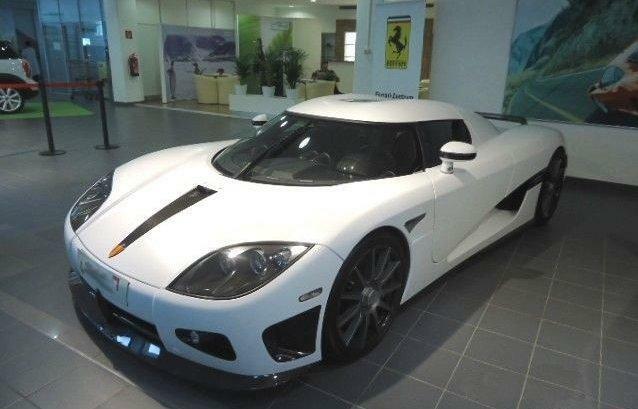 This CCX had its first public outing at the Vienna Luxury Car show, which was held in January 2007 and also attended the Geneva Motor Show and Top Marques Monaco, in March and April 2007 respectively. It was spotted at Puerto Banus in August and was shown at the Miles Per Hour (MPH) Goteborg event, which was combined with it's first service at 1,000 Km, in November 2007. In August 2008, this CCX attended Sportwagen Festival Velden am Wörthersee, Austria. Offered for sale by Die Karner & Grossegger Automobil GmbH Vienna (KGA Wien) in 2009 and stayed there until KGA Wien was declared insolvent, November 2010. It is not entirely clear what happened to our orange friend but, between 2009 and 2014, it showed up at different car dealers like Wolfgang Denzel Auto AG (2012), Luxury Car House GmbH (2013) and, most recently, at Autohaus Gohm (2014), where it was spotted with a German export license plate. So let's hope this beauty will find a loving owner soon! Lava Orange, a very popular color on the CCR Koenigseggs, was used also on 036. A novelty as it was used for the first time on a CCX. 036 features lots of clear coated carbon areas, like the different grill with added vertical pillar and horizontal spoiler, the bonnet, the mirrors as well as the license plate section and Top Gear style rear wing at the back. In 2010 it received a white wrap, which was applied by Toth Folie GmbH Baden, Austria but was later removed again, showing its original Lava Orange color again. Apart from the initial upgrades, this CCX stayed the same during its life, apart from a change in rims from the 9-spoke Dymag on which it was delivered, via the telephone dial rims, to the 11-spoke Dymag wheels. Black leather with orange contrast stitching was used for the interior of 036, combined with numerous clear coated carbon areas. Please note that, at some point, the CCR style instrument cluster was exchanged for the instrument cluster which was to be used standard on later CCX models. The numerous upgrades on 036 were not limited to cosmetic changes only, because the engine was overhauled too, in order to squeeze the last horse out. 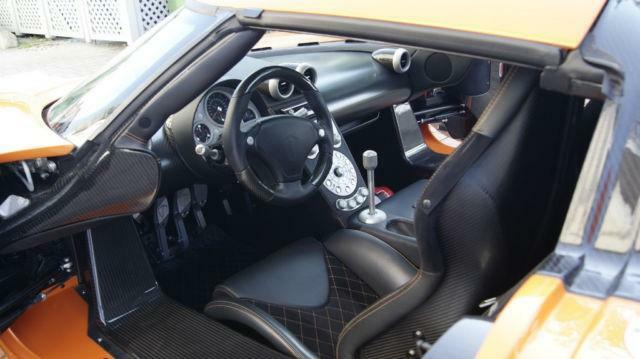 And with success as the engine of this CCX produces 860 Hp, which is 54 Hp more than the standard CCX engine. The engine was mated to a standard manual transmission. When 036 was owned by Bader, it had a Hungarian license plate, which reads: "Dubai - 1". The idea behind this is that Bader Al Roudhan is born in Kuwait, Dubai but he lives in Budapest, Hungary. He has a tradition of amusing plates as he also owns a Spyker C8 Double 12 with plate "Obama - 1". Because of the multiple upgrades this car received it is sometimes referred to as CCXB (B for Bader), but the official designation still is CCX, as is confirmed by the badges on this car. This Koenigsegg had a lot of different wheels and it looks as if it was hard to determine which rims would be used. That's probably the reason why it had different wheels on either side when displayed at Top Marques Monaco, April 2007 where it sported 9-spoke Dymag rims at the left side and the more traditional telephone dial rims at the right side.